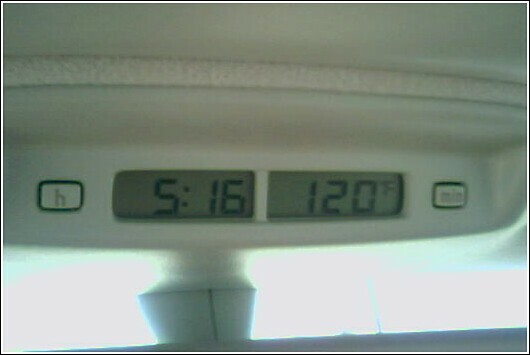 >Either Al Gore is right and we’re all in trouble or the thermometer on my car is broken. 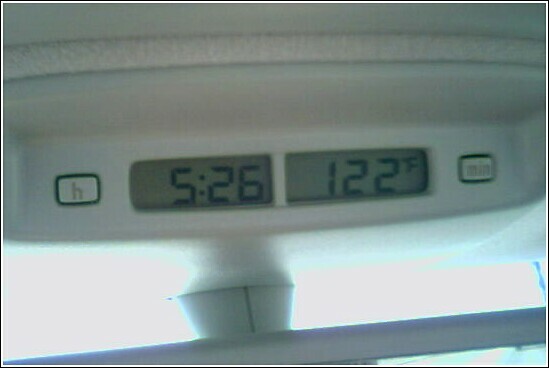 It was brutally hot here yesterday, but it wasn’t 122! It was 105, also known as State Fair weather. >I don’t miss it. Not one little bit. 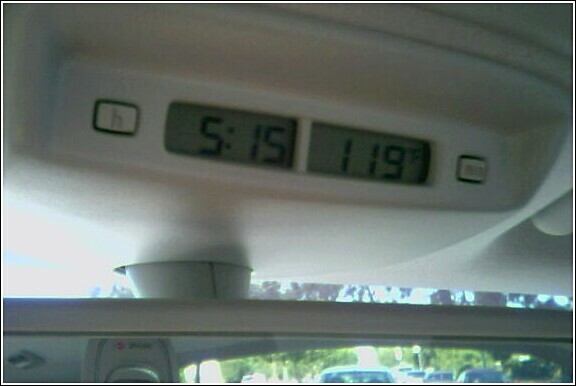 >It’s hot here too. The reason I think Gore is an idiot is because alot of the same scientists he sites were saying we were heading into an ice age 25 years ago. Also, Its usualyy 76 degrees where i am.